Welcome to Day #4 of Chocolate and Orange Theme Week. 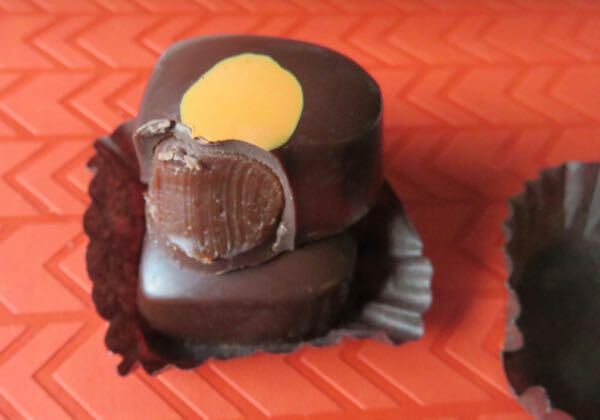 We risked citrus overload today with a double dose: one citron and two orange chocolates. It was worth it. 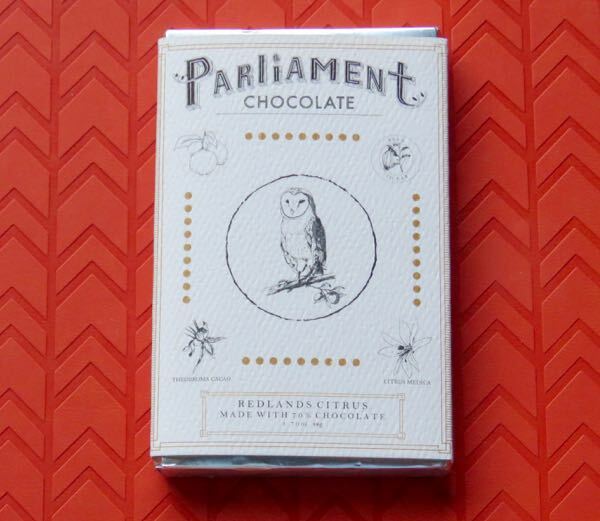 Today's Redlands Citrus 70% dark chocolate bar was crafted by Parliament Chocolate (Redlands, CA). 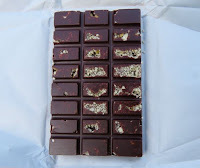 This ebony-colored bar was chock full of tiny, embedded pale yellow, citron particles. The chocolate offered an enjoyable full, nuanced citrus flavor ride. 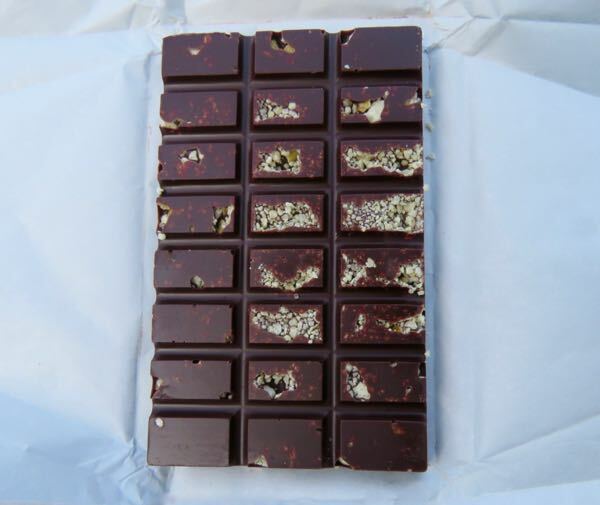 Michael Mischer of Michael Mischer Chocolates (Oakland, CA) is a true craftsman offering fine, high-end bars and filled chocolates. 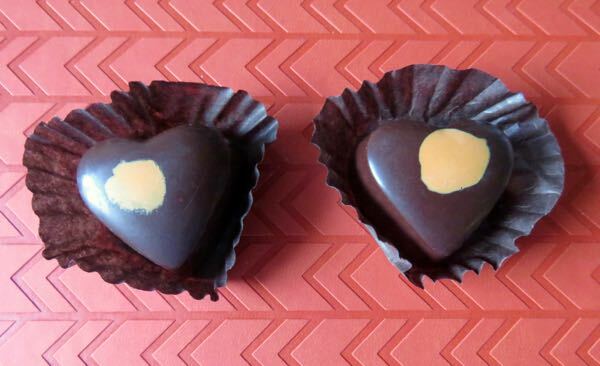 Today's heart-shaped Orange Caramels consisted of silky smooth, high-quality chocolate covering a creamy chocolate center infused with just the right amount of natural orange flavor. Definitely a keeper, and a cut above your average filled chocolate.